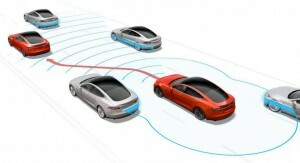 Tesla’s autopilot system has been subject to a bit of controversy after a few accidents were blamed on the system, some of which proved to be fatal. While there are some discrepancies in the stories and Tesla will argue the driver is typically at fault, the company is doing all it can to ensure its next-generation autopilot system is as safe as possible. According to a report from Electrek, Tesla’s new autopilot system will feature more radar and camera sensors, however the platform will not receive any LIDAR sensors.